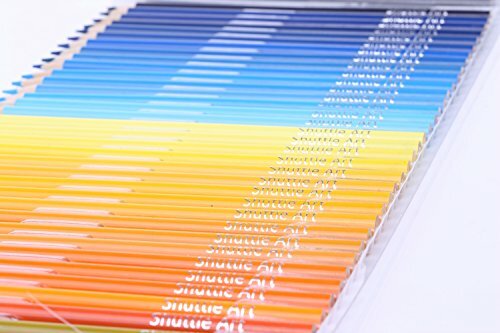 Shuttle Art colored pencils contain 136 colors which include 8 special metallic colors as well. Super smooth and thick leads are perfect for shading and shadows. Superior high level PET box packing with trays inside provides good space for storing and color selection. High quality and easy taking packaging is a ideal gift for friends and children in holidays like Thanks giving and Christmas.